UPDATED 9:30 a.m. EST: Police fired tear gas at the crowd of demonstrators, the BBC reported. UPDATE: 6:20 a.m. EST -- Demonstrators reportedly formed a human chain in Paris, France, where the COP 21 climate change summit is set to begin Monday. Paris, which suffered a deadly terrorist attack that killed 130 people last week, was set to witness bigger protests during the summit but demonstrations have been limited by restrictions set in place by police following the attacks, including on large gatherings. 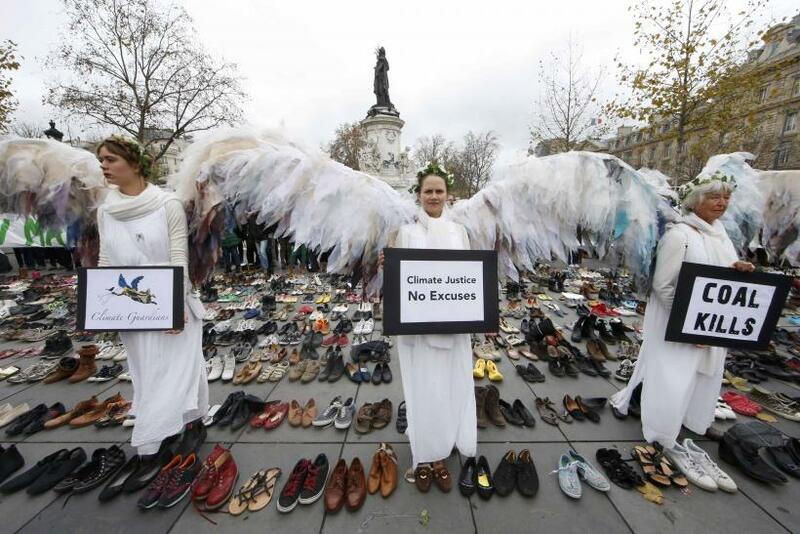 Protesters seeking to get around the restrictions and yet get their message across, also reportedly resorted to display about 20,000 pairs of shoes, including one from Pope Francis, as a symbolic gesture. 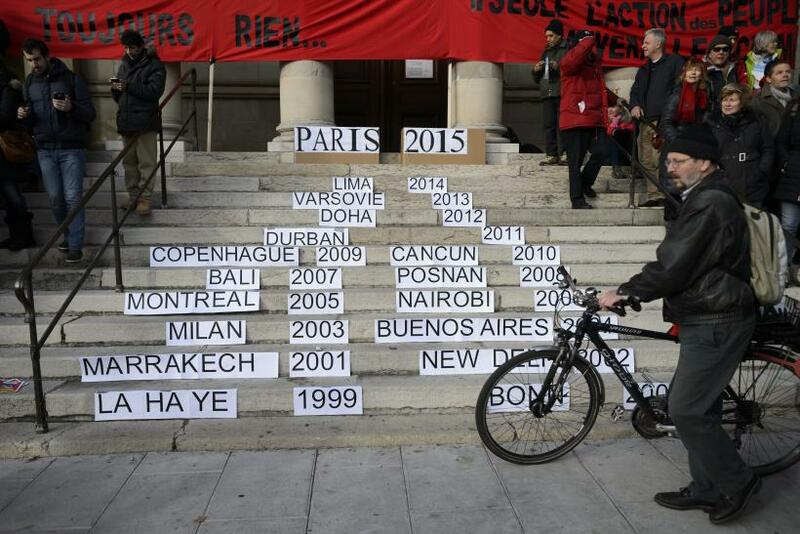 Worldwide rallies and demonstrations demanding action on climate change began Sunday, a day before the COP 21 -- the 21st session of the Conference of the Parties -- kicks off in Paris. 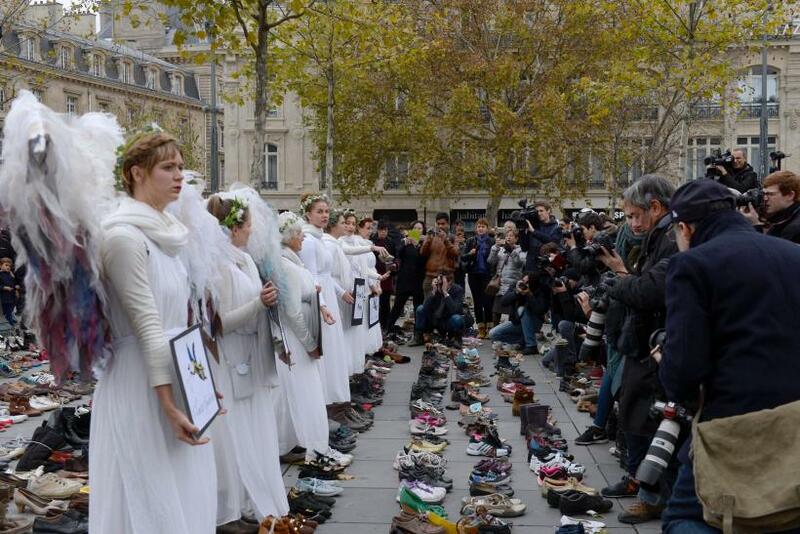 Over 2,000 events have been planned across the U.S., U.K., Germany, Australia and France, where activists plan to hold a scaled-downed rally following the Nov.13 attacks in Paris. Activists are demanding that world leaders do more to curb greenhouse gas emissions -- essential for a realistic possibility of limiting the rise in the average global temperature to 2 degrees Celsius (3.6 degrees Fahrenheit) above pre-industrial levels -- by imposing further curbs on fossil fuel use. 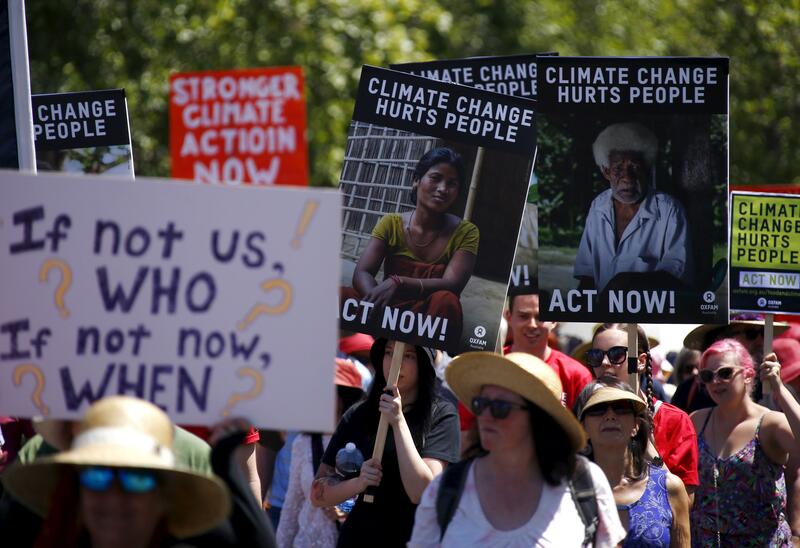 “Don't be a fossil fool,” a banner carried by a demonstrator in Australia, where rallies are already underway in Canberra, Melbourne, Brisbane and Adelaide, read. Meanwhile, planned demonstrations in Paris -- originally meant to be the biggest of all -- were scaled down after the government imposed a state of emergency following the terrorist attacks that killed 130 people earlier this month. 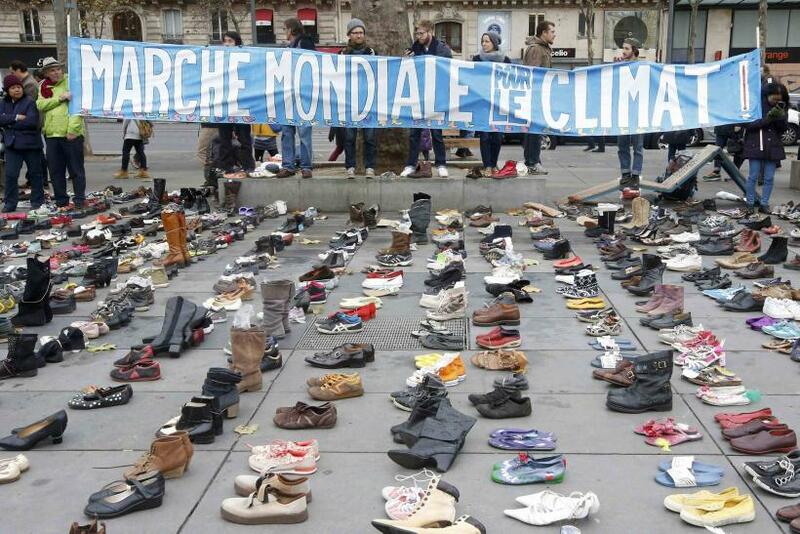 However, activists still plan to form a human chain, made of over 3,000 people joining arms, along the 1.9-mile route through central Paris from the Place de la Republique to Place de la Nation, according to media reports. The cause for concern is quite evident. According to a recent report by the U.K.’s met office, global temperatures are set to breach the symbolic milestone of a 1 degree Celsius rise above pre-industrial levels, putting the world right on track to a 2-degree Celsius warming -- an internationally accepted red line. Already, sea levels have risen nearly 7 inches over the past 100 years -- almost half of which has been since 1992. This, coupled with climate change-induced extreme weather events, now poses an existential threat to low-lying Pacific island nations. 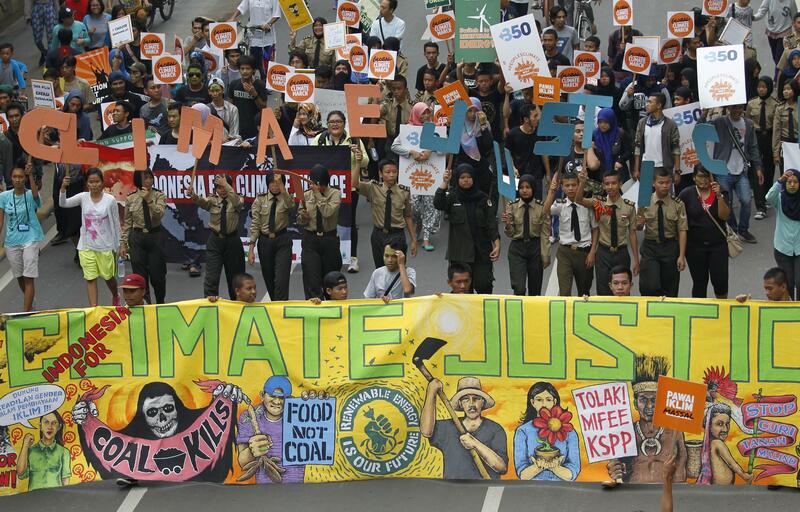 “Climate justice is a spiritual and moral issue. To call it ambitious, it must include the long-term goal of climate resilient decarbonisation by mid-century and a periodic review and ratchet up mechanism to increase ambition dynamically,” Archbishop of Cape Town Thabo Makgoba, who, along with several other Christian leaders handed a petition signed by nearly 1.8 million people to U.N. Framework Convention on Climate Change Executive Secretary Christiana Figueres in Paris, said, in a press release. Leaders from several other faiths, including those belonging to Buddhist, Muslim and Hindu organizations, have also called for immediate and effective action. However, despite the urgency of the situation, the finance to fund actions needed to achieve climate change targets -- the most important, and perhaps the most contentious issue likely to be discussed during the talks -- has been hard to come by. Wealthy nations have pledged to mobilize $100 billion a year in climate finance by 2020, and, as of last year, they had reached nearly $62 billion. However, according to an Oxfam analysis, only $2 billion was made available to developing nations, pointing toward a persistent gap between the rising costs of adaptation to climate change and international monetary support. 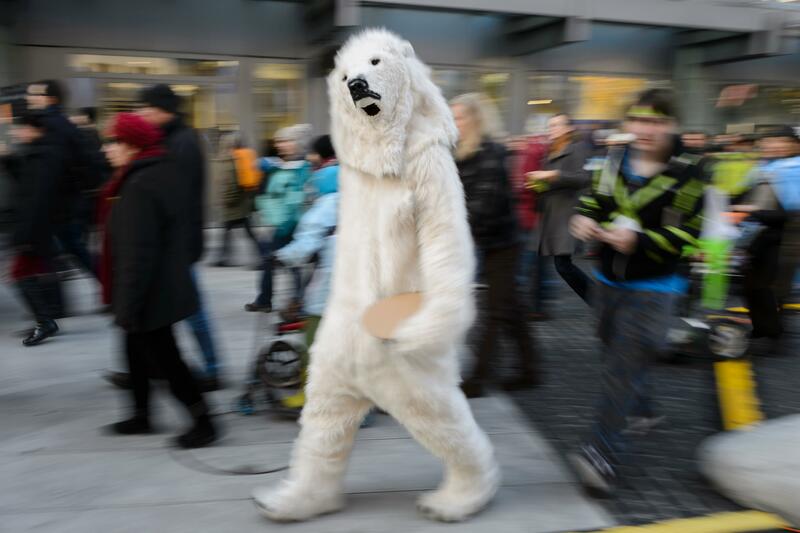 “The amounts [of climate finance] are woefully inadequate. We’re seeing about three to five billion in public finance for adaptation. Now if you think about small-scale farmers, there’s about 1.5 billion of them in the world, and if you take the amount of adaptation finance that’s currently available, that’s about three dollars per farmer per year,” Kelly Dent, Oxfam’s global climate change leader in Paris, reportedly said Sunday.